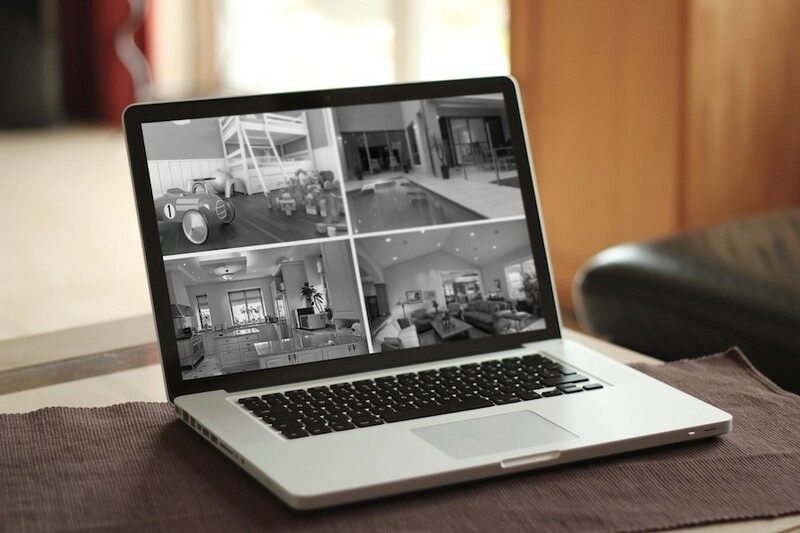 Seeing the current state of your property with your own two eyes is the best way of knowing that everything is fine back home, and a smart security system gives you remote access to live and recorded security footage from your laptop, smartphone, or tablet. Depending on your cameras, you can even pan, tilt, and zoom to get a comprehensive view of your different spaces. Watch the video below to see just how easy it is to access surveillance camera footage with a Control4 home automation system, and check out our full library of instructional videos that highlight the sophisticated simplicity of smart home control interfaces. A home that is dark for an extended period becomes a target, which is why smart security systems have “mockupancy” settings that use smart technology to create the illusion of occupancy. This setting activates lights, motorized shades, and A/V components in a randomized pattern based on your family’s normal routine, so that anybody walking or driving past your home will get the impression that people are there. You don’t want to spend your vacation staring at surveillance footage on your smartphone, which is why we offer 24/7 monitoring that lets us know immediately if there is any cause for concern on your property. If there’s an intruder, motion sensors will let us know that someone is trespassing, and we can contact the authorities while also reaching out to you with a security status report. Those motion sensors will also activate landscape lighting to let criminals know they have been detected, and we can issue a verbal warning through your sound system that tells the intruder the authorities are on the way. Want to learn more about adding a smart security system to your Iowa City home? Reach out to one of our experts by calling (877) 754-9111 or by sending a message in the window at the bottom of your screen.